A few weeks ago, I went over to a gathering of some extended family members. My cousin and his wife brought over their two month old baby girl. I arrived later than everyone else, and when I did, a card game was well underway. This left me as the only one, other than my cousin's three year-old son, who was not playing cards. Soon the inevitable happened; the baby began crying. I was born into a very competitive family, and when my family plays cards, things get intense. The game they were playing features non-stop and rapid action, so it was unreasonable to expect the game to halt when there was someone around who was responsible enough to hold a baby. Therefore, it was either listen to the child cry or pick her up. I am not the type of person who gets excited at the sight of a baby. It had been years since I had held a baby. However, I did not want to seem insensitive and demand the game be halted so someone else could comfort the child. Nervously, I approached the child and picked her up. 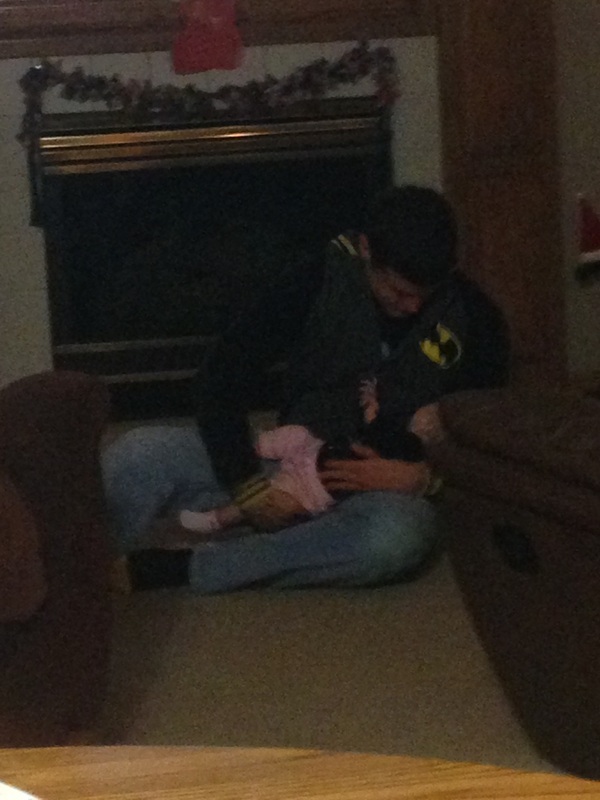 She did not immediately stop crying, so I began walking around the room. Eventually, she did stop crying, and despite my fear of doing so, I did not drop her. Was it a strange experience? Absolutely. Did I want to do it? Absolutely not. Once the card game was over, I immediately gave the child back to her mother. Am I glad I did it, though? Absolutely. No one wants a baby to cry. No one likes to hear a baby cry. And, no one wants a baby to suffer. I picked little Ginny up because I did not want her to be upset. At that age, a child is unable to do anything for themselves. To ignore the cries of a baby is to wish harm upon the child. It is simply common sense to comfort a baby, rather than to let the child suffer. This is what bothers me so much about abortion. Babies are so vulnerable and defenseless. We have a duty to protect them, but in our country, it is perfectly legal to end the life of a baby in the womb. I do not wish to demonize any woman who has aborted her child. I have never been so frightened and confused that I considered taking a life, so I cannot begin to understand what mothers who are contemplating abortion are thinking. I do not envy their circumstances. It is the element of society that actively campaigns for unlimited access to abortion that saddens me. How can anyone say a human life is not worth protecting? Do we not have a duty to protect the most vulnerable? Do we not have not have a duty to protect infants? If we say we do not have the duty to protect human life in the womb, how can we say we have the duty to protect life outside the womb?